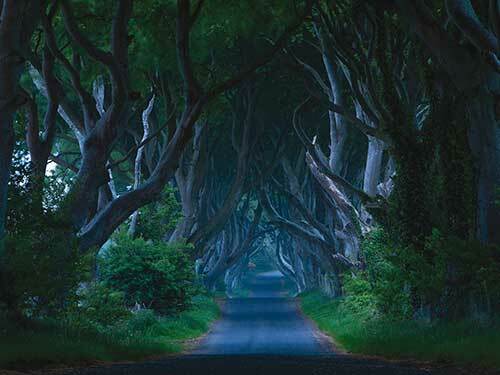 The Causeway Coast is packed with great things to see and do, from the world renowned Giants Causeway to Ballintoy Harbour, one of the Game of Thrones film locations. 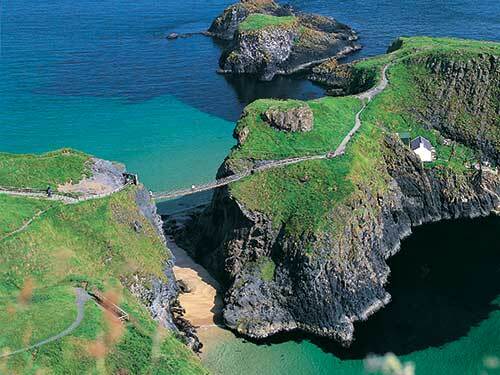 Take the exhilarating rope bridge challenge across to tiny Carrick-a-Rede island (a Site of Special Scientific Interest) and enjoy a truly cliff-top experience. Set amid unrivalled scenery on the North Antrim Coast, the 30-metre deep and 20-metre wide chasm is traversed by a rope bridge that was traditionally erected by Salmon fishermen. It’s a bit more sturdy these days but there’s still only one way off the island – back across the swinging bridge! 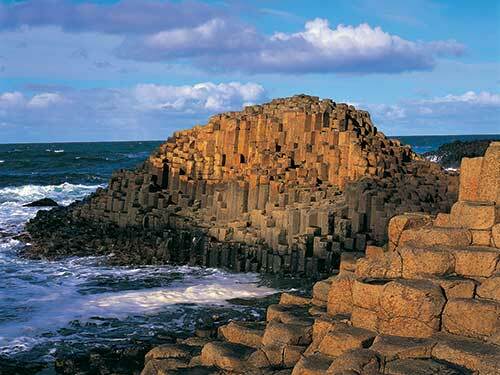 Not to be missed on any itinerary is this geological wonder which gives the route its name. The Giant’s Causeway sits at the centre of an Area of Outstanding Beauty and is Northern Ireland’s only World Heritage Site, famously steeped in myth and legend. Begin your visit at the state-of-the-art Visitor Centre then stroll down to the intriguing polygonal stones to search out distinctive formations such as the Camel, Wishing Chair, Granny and Organ. 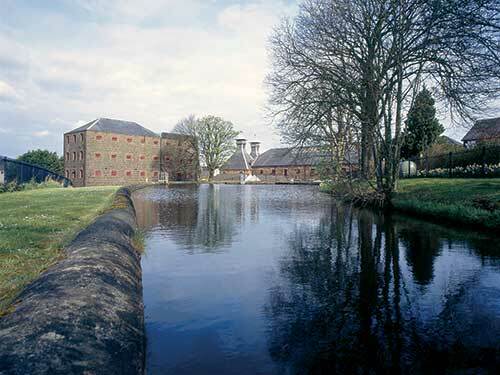 Take a guided tour through the heart of Ireland’s oldest working distillery, its original grant signed by King James I in 1608. The finest Irish whiskeys have been produced here for over 400 years, using the same traditional methods and the water from the distillery’s own stream. Take in the sights and smells, enjoy tutored tastings and relax with a whiskey (or soft drink) in the 1608 Bar at the end of your tour, before browsing the excellent gift shop. One of the jewels on the route, this breathtaking castle ruin has inspired artists and writers such as C.S. Lewis. 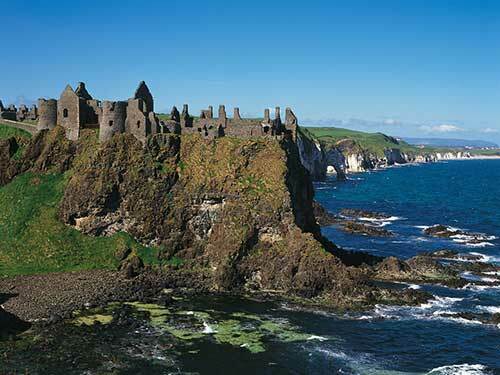 Perched dramatically on the cliffs of the North Antrim Coast, it was built around 1500 by the local MacQuillan family and later seized by the Scottish MacDonnell clan who eventually established a small town here. Discover the castle’s tumultuous history with an audio-visual tour and smartphone app. 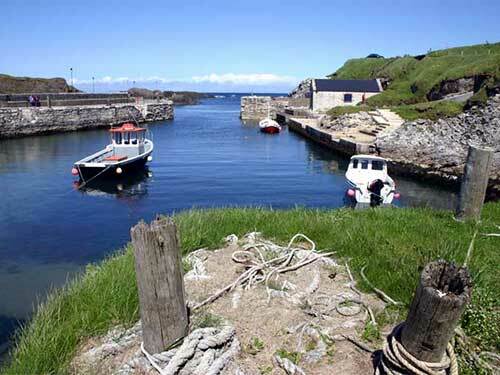 This small, picturesque fishing harbour is a short detour from Ballintoy village. Follow the narrow winding road downhill past the white-washed Ballintoy Parish Church “one of Ireland’s most photographed churches. The harbour’s stunning natural setting led to it being used as a filming location in the fantasy TV series Game of Thrones®, as exterior Pyke shots and as the Iron Islands. Experience the wild and dramatic setting of Downhill Demesne which was the romantic vision of Frederick Hervey, an 18th century Earl Bishop of Derry. 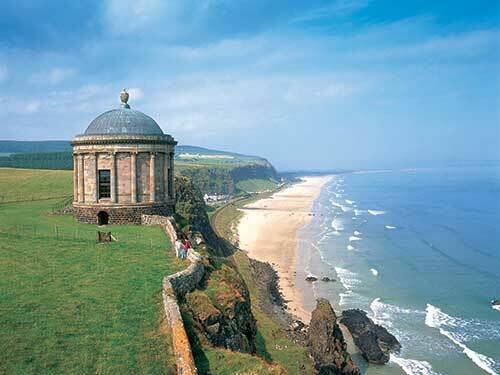 Beyond the ruined mansion lies one of our most iconic monuments – the circular Mussenden Temple, perched on a cliff edge high above Downhill Beach. It was built as a summer library and inspired by the Temple of Vesta near Rome. Don’t miss a visit to Hezlett House, a picturesque, late 17th century thatched cottage.